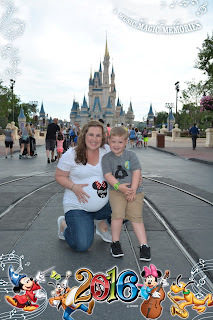 Travel Time : What to Expect While You Are Expecting at Walt Disney World! 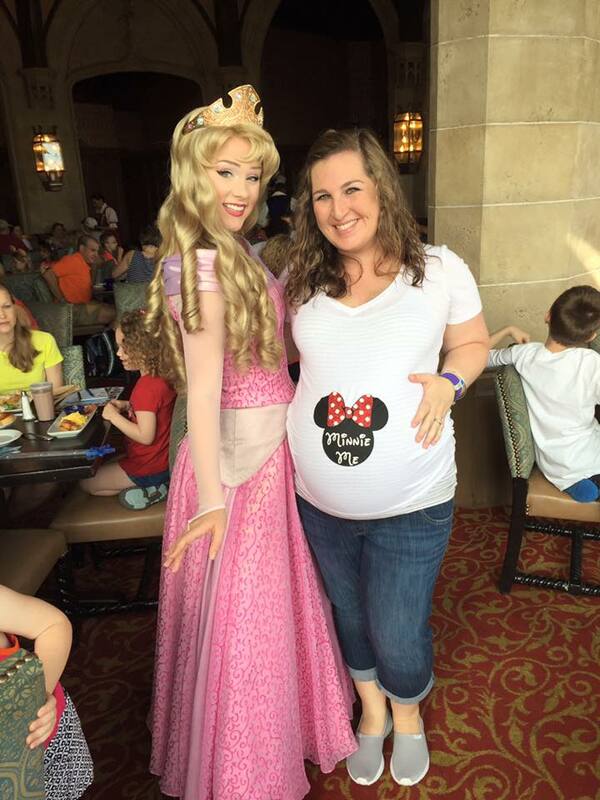 What to Expect While You Are Expecting at Walt Disney World! 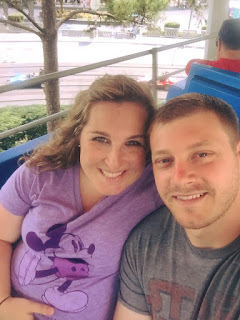 Vacationing in Walt Disney World has become second nature to me, since I have been going at least once a year since I was a toddler. But I felt completely out of my element when I recently visited while being 7 months pregnant and having my 4 year old son in tow as well. I’m a planner, so I like to map out my days during each trip so we have the most fun throughout our time at Mickey’s house. However, when you have a big belly and need to make frequent stops to the bathroom, plans change quite a bit. 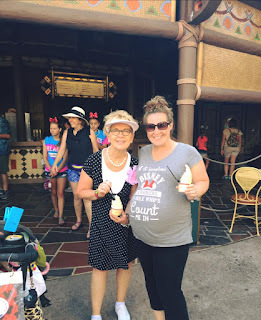 Going to Walt Disney World pregnant is very different than going not pregnant. You can definitely still enjoy numerous rides and attractions, but you must include many rest stops and visiting each park at a slower pace. I found that having to reduce our normal accelerated vacation speed allowed me and everyone else in my family to really stop and enjoy the magic all around us, even though we’ve been there many times before. My number one tip for getting the most out of your trip while pregnant is to start early! When you open a park in the morning, the weather is cooler and the crowds are smaller which means less time waiting in line. 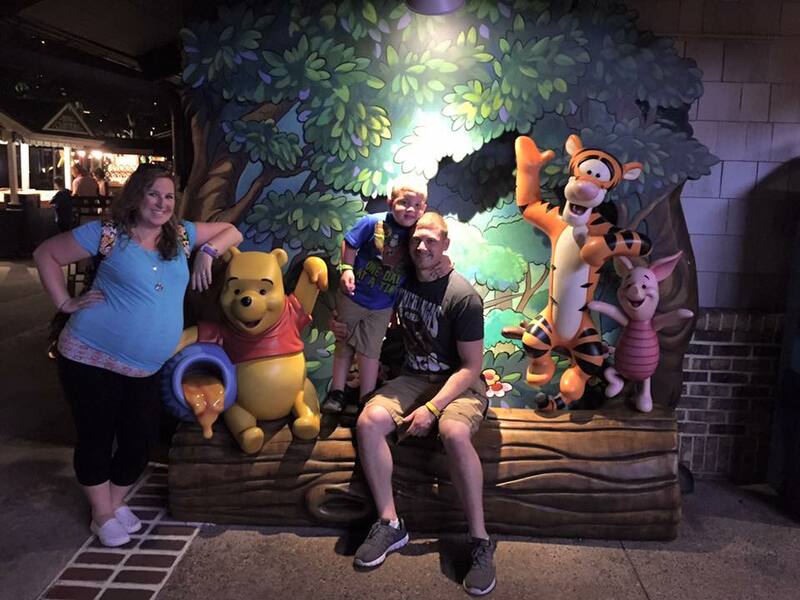 During my recent trip, not only was I 7 months pregnant, but my 4 year old son was visiting with me. We opened a park, ate lunch, then went back to the room to nap, and concluded our day back at the park around the late afternoon. This helped SO MUCH, for both of us. You do not want to wear yourself out. Which brings me to my next tip: Set your own pace. Take your time and enjoy that you’re in Disney World! When everyone in my family was taking a ride on the Mine Train, I stayed back with the bags and stroller and just relished in the fact that I was at the Happiest Place on Earth. You see Disney World in a whole new light when you’re not waiting in long lines all day. And eating many Mickey Ice Cream bars helps too. You also want to make sure you’re always hydrating. You can walk up to any Quick-Service counter and ask for a cup of ice water, and a Cast Member will happily hand you one for free! I brought my own reusable water bottle and filled it up every chance I got! Being pregnant in the hot Florida sun can get very uncomfortable, so keeping cool and comfy is a must. While I was waiting for my family in Animal Kingdom, I must have looked miserable because a fellow Mom came up to me and said “I’ve been there! Would you like a mist?”, and she sprayed water on me with a cooling/misting fan and it felt heavenly! Getting one of those fans is definitely a good investment for any trip! Comfortable walking shoes are also something you want in invest in, since you will be doing a lot of walking! You also want to make sure you are heavily protected from the sun. Not only did I continuously apply sunblock, I actually used an umbrella to keep the hot rays off of me & it helped tremendously! My final tip may come as a surprise because I was very hesitant about it at first when my Mom suggested it to me, but now I could not have imagined enjoying any part of my trip without it. INVEST IN RENTING A SCOOTER! You may feel silly at first, but being able to sit and stay off your tired feet all day is absolutely worth the money you pay to rent one. During our stay, we rented one directly from Disney. It is $50, with a $20 refundable deposit when you turn it back in after you’re done at the park. They’re very easy to maneuver and they have a USB port in them so you can charge your phone as well! If you’re a Park Hopper, all you have to do is keep your receipt, bring it to the next park, pay the $20 deposit and scoot scoot away! Enjoying a trip to Walt Disney World with a baby bump is definitely doable with these tips and maybe adding a Dole Whip or two. Take your time to enjoy the hidden magic and maybe start planning your little one’s first visit!